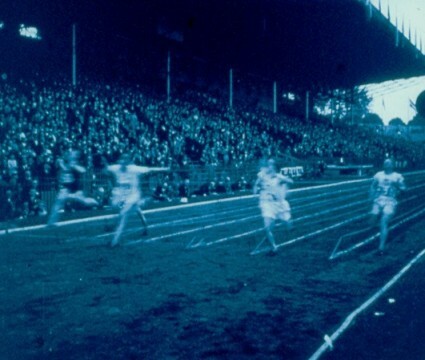 It’s 80 years since Stan Laurel and Oliver Hardy made their transition from silent to sound film and Bristol’s Slapstick Silent Comedy Festival celebrates their extraordinary onscreen legacy with a special live gala evening of film and music hosted by writer and comedian Sanjeev Bhaskar. 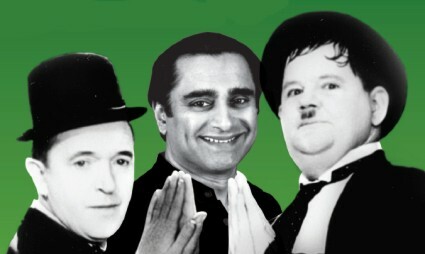 Best known for his work on Goodness Gracious Me and The Kumars at No 42 Sanjeev has selected his favourite Stan and Ollie comedies to delight new audiences including their oscar winning classic THE MUSIC BOX (1932) in which the boys play removal men who are trying to deliver a piano up a monumental flight of stairs! Other highlights include live musical performances from a capella vocal group The Matinee Idles and a special appearance from Our Gang member and child performer with Stan and Ollie – Hollywood legend Jean Darling. All this plus the world premiere of a newly commissioned orchestral score for the Laurel and Hardy classic silent comedy DOUBLE WHOOPEE (1929) featuring Jean Harlow’s screen debut and accompanied by the from Günter Buchwald and performed by the wonderful Emerald Ensemble. A rare opportunity to see comedy legends Laurel and Hardy on the big screen with one of Britain’s best loved comic performers. The event is designed to help raise funds for next year’s Slapstick festival, so well worthy of your patronage if you’re anywhere in the Bristol vicinity. Jean Harlow shows up in four earlier movies, including a small bit in an earlier L&H short, LIBERTY.